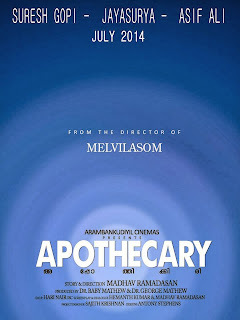 First of all, some of you may get confused with the title "Apothecary", which refers to the medical professional, who provide or make the medicines during old times. Latest news is that director Madhav Ramadasan has decided to pick this name for his upcoming Malayalam movie. This new movie will have Suresh Gopi, Jayasurya and Asif Ali in the major characters. International film festival. "Melvilasom" concentrates on the court martial of a soldier, starring Suresh Gopi and Tamil actor Parthieban in central characters. His new movie will go on the floor by February next year and has planned for the release on July 2014. The story has been written by director himself, while the screenplay has prepared jointly by Hemanth Kumar and Madhav Ramadasan. Hari Nair will wield the camera for this new movie. 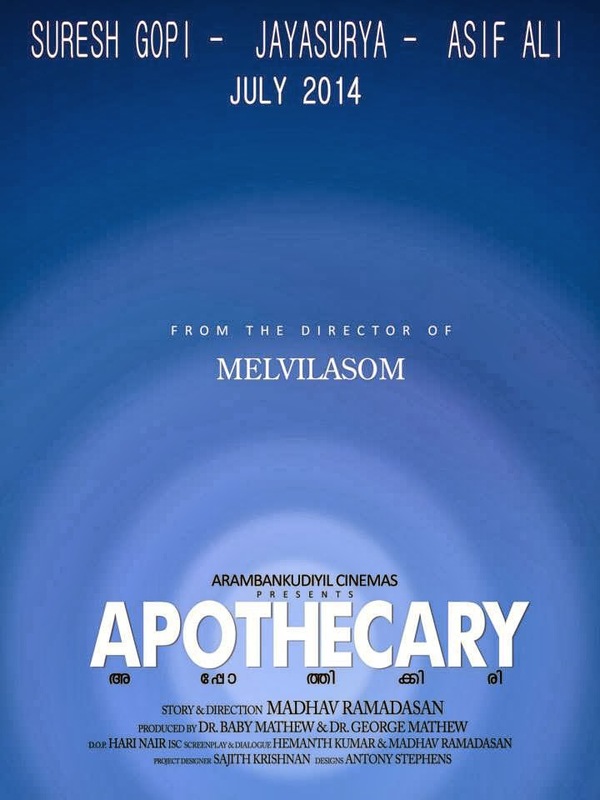 "Apothecary" Malayalam movie is being produced under the banner of Arambankudiyil Cinemas by Dr. Baby Mathew and Dr. George Mathew. Project designer is Sajith Krishnan.